I have completely straight hair. It's pretty easy to style. Sometimes though I would like to have curly hair for a change. I have tried hot rollers, sticky rollers and numerous kinds of curlers. All of them let me down and gave me terrible results. hair. The LCD control lets you know exactly what temperature setting you are on. It's easy and accurate. It has an auto shut off feature if you leave the curling iron unattended. 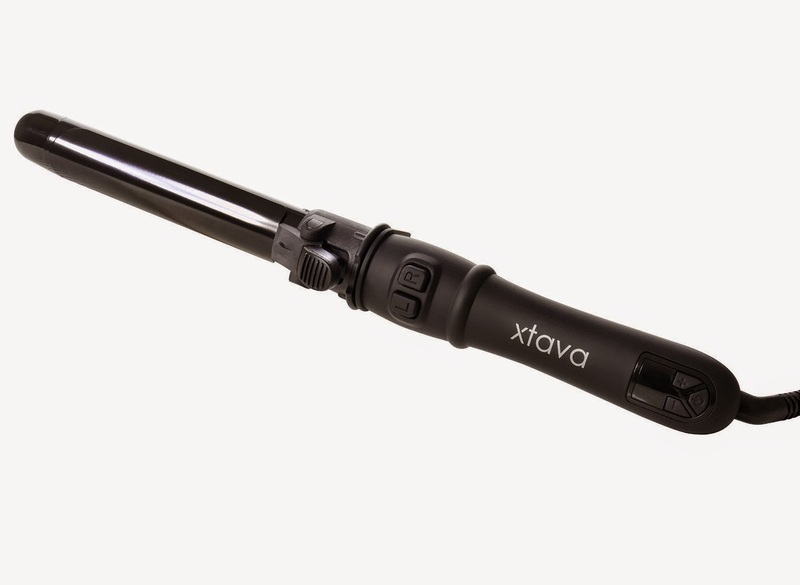 The curling iron comes with a huge eight foot cord so you have room to style your hair. The best feature has to be the auto-rotating feature. You have control over which way you want to curl but the best part is no more burnt scalp. You can get close without hurting yourself. The curls are beautiful and long lasting. Here's a before and after of my hair. I liked the curl and the volume I achieved using this product. This is a really great product to add to your beauty arsenal.